Application: Torx socket screws made acording to Acument Intellectual Properties specifications. Design: Holding function for Torx screws. The holding function provides a better fit in the screw. 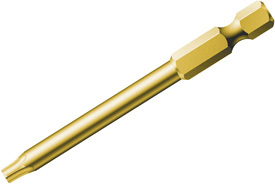 The 05060363001 Wera 867/4 1/4'' Torx HF Power Drive Bit with Holding Function is one of thousands of quality tooling products available from MRO Tools. Please browse Wera 1/4'' Torx Power Drive Bits for tools similar to the 05060363001 Wera 867/4 1/4'' Torx HF Power Drive Bit with Holding Function. 05060363001 Wera 867/4 1/4'' Torx HF Power Drive Bit with Holding Function description summary: Wera 867/4 1/4'' Torx HF Power Drive Bit with Holding Function. 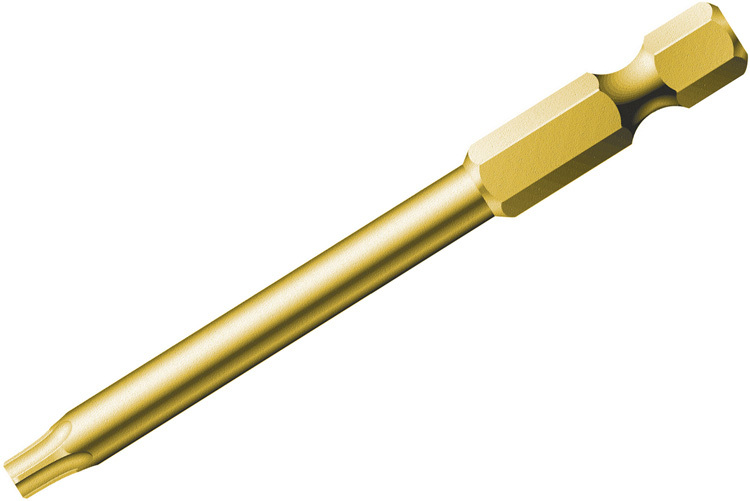 Point Size: TX 25 Overall Length: 89mm / 3 1/2'' Overall Length: 6.0mm Quantity discounts may be available for the 05060363001 Wera 867/4 1/4'' Torx HF Power Drive Bit with Holding Function. Please contact MRO Tools for details.